This is just a muse. While discussing compassion and acceptance in a small group session recently, our facilitator gave an example of how during a party or similar event, it feels unsettling when a person you are in conversation with is scanning around the room. “It’s almost like you are invisible to them – like they cannot wait to be relieved of you and meet someone else more interesting.” I had heard similar observations in the past, but wasn’t sure I knew why this was the case, myself. I had bought into the staple explanations like: perhaps they are shy, or maybe they are hiding something, or need to be more confident, etc. I also knew that I chronically suffered the same misdeed: making eye contact is a real workout for me and if I could avoid it, I would. However, I know myself well enough to realize that it has nothing to do with shyness – am often too bold for my own good, nor deceit – not my approach to resolution, nor do I need more confidence – I often wish I could offload some of mine because sometimes it borders on arrogance when misinterpreted by others. So what was it then? Why is making eye contact literally painful for me – especially around those I respect the most but aren’t too bonded with? More so, why is the same effortless for me during random staring contests: when I meet people at bus terminals, coffee shops, parks, during late evening walks, and other situations more exposed to uncertainty? Prior to living in the States, I hadn’t heard much about eye-contact. Every now and then the subject came up, but it had to do with confrontations and difficult conversations. It wasn’t something expected or for that matter advised in a polite situation. One was considered too forward if they made eye contact too readily. When people meet, they just continue to look around while talking until they naturally make eye contact – usually as the conversation deepens. Thinking about it now in retrospect, it is a pretty amusing dance to behold through a western eye, even though remarkably civilized in its right: two people engaged in a discussion, each looking over the other like new lovers blushing – only that anyone can tell that this is different, they go on like this for a while, and then briefly make eye-contact when parting or become more engross with their conversation. Unlike western culture, the conversation made while not looking directly at each other is just as important and binding as any other. Eye contact usually only indicates the intensity or seriousness of the talk going on, basically one that has passed chit chat. In western culture, on the other hand, eye contact is a lot more fundamental: literally determining whether or not a person feels accepted and acknowledge by their conversation partner. The consequences of not making eye contact can be pretty dire to a new friendship, relationship, etc. People here simply don’t connect without it. It’s almost unthinkable for someone raised in the west to believe that genuine interest can go without eye contact. 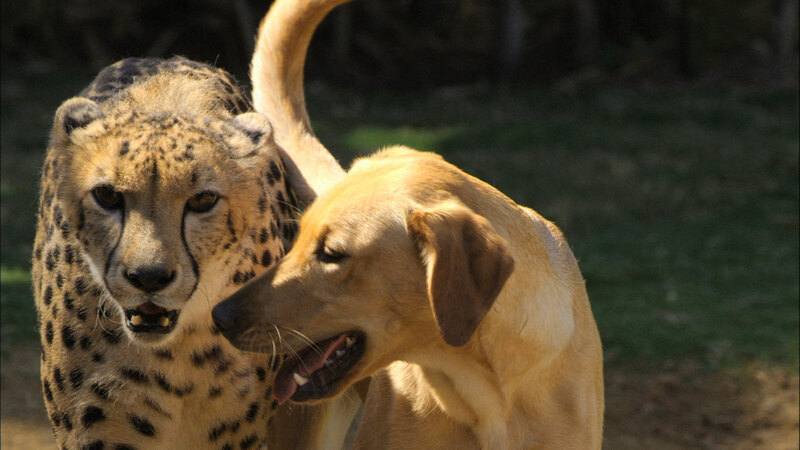 I have risibly wondered if this behavior is connected to Africa’s natural cat dominated wildlife compared to the more dog dominated wildlife of the Americas and Europe. The dog family animals i.e. wolves, coyote, etc. are pack creatures. Eye contact is fundamental to how they bond, coordinate their efforts, as well as function within their social order. A submissive dog does not necessarily avoid eye contact with the alpha, it just lowers its head while making it. Even as pets, dogs tend to stare at their owners, as though waiting for cue on the next thing. For a dog, staring is as normal as breathing, not something done with any particular meaning. Cats, on the other hand, are very different. Ever wondered why cat’s avoid eye contact? Most cat’s will in fact go to the person in the room that makes the least eye contact with them. For cats, eye contact isn’t just about dominance, it’s also about threat and confrontation. It signifies rivalry or stalking, which is unnerving. In a pride led by two or more sibling lions, all lions barely make direct eye contact with each other. They all tend to take their cues by anticipating the others role. This is how attacks are coordinated. Cats do not go about staring at each other, except during a tension. We know from sociology that cultural groups tend to borrow heavily from their native wildlife. So, are Africans more adapted to the social behavior of their cat family wildlife, while Europe and America remain more inclined to the pack behavior of their dog family wildlife? More comically, are Africans cats, and westerners dogs? It seems almost too convenient, but worth thinking about. While I have made significant progress in making more eye contact in my new western environment, I still have a hard time living with it – especially [ironically enough] when I’m trying to put my best leg forward. While speaking to a group or a friend, I sometimes cannot help looking away – mostly if what I am saying may come across as opinionated. In my cultural programming, looking away helps you make your point without being imposing or forceful with your view. Well, for a westerner, it of course means you are probably lying lol, or aren’t convinced enough. The variance is quite amusing when I think about it. Conversely, when someone is sharing their view with me, my cultural programming is to avoid staring at them to indicate acceptance and unguardedness in their presence. Nothing, in all my adaptation, has been more difficult to adjust and more easily overridden by my default programming than the subject of making eye-contact. I have gotten a lot better at it though, but every now and then, usually when I’m not conscious of the expectation, and sometimes even so, I relapse into old habits – listening without eye contact. At those times I all but pray that my conversation partner is gracious, and gives me the benefit of doubt as someone very interested in them, but under a cultural programming. If you are ever talking with an African that has a hard time looking you in the eye, cut them some slack. They probably find your direct eye contact just as unnerving too. More importantly, however, their eye contact or lack thereof is not a measure of their impression of you: good or bad, nor does it tell how much they are enjoying talking to you. Their body language, often more animated, is a better gauge for that assessment. In fact, you probably should be worried if they are looking too intently at you very early lol… unless of course they are westernized. EndNote: Africa is a large continent with varying cultures and colonial influences. While my muse is generalize, I’m sure it doesn’t apply to all of them.